This sector fiche will focus on hydrocarbon exploration and production. Operating and service vessels as well as connection cables and pipelines are excluded from this sector fiche analysis. Most of the extraction fields are mature, with declining production and rising costs. Presence across sea basins: Predominantly North Sea, minor activity in the Atlantic and East Mediterranean. Land-Sea interaction occurs through the use of pipelines for transfer of product, shipping for supply, maintenance and off-loading. What are the present spatial needs of the oil and gas sector? The oil and gas sector is locked in physically to the specific location where geological processes lead to those materials to be extracted. Thus, the spatial aspect is of the greatest importance for these sectors, as the spatial availability of the resource cannot be altered. At the same time, a re-allocation of the activity would therefore not be possible. The material transport to ports also follows a linear structure connecting the collection point to the point of delivery (by ship or pipelines), which will follow the most direct route in order to minimize shipping costs. In order to avoid potential spills, during extraction all other uses are to be spatially avoided so that focus remains on a safe exploration. At the same time, the advent of directional drilling has reduced the amount of surface structures required for hydrocarbon extraction activities, since many wells can be operated from a single platform, and at a distance of several kilometers. Similarly, extended reach drilling can be used to access offshore reserves from onshore facilities, as is undertaken from the German North Sea coast. Domestic production in Europe is set to decline sharply as reservoirs in shallow waters are in decline, existing fields are mature and are not replaced. This will increase the dependence on imported hydrocarbons. However, in some parts of Europe, namely in the Black Sea and the Mediterranean, there is unexploited oil and gas potential, with some exploration potential in Cyprus, Greece, Malta, Bulgaria, Romania and Portugal. With technological advancements in drilling and extraction, production is moving to deeper waters. Enhanced oil recovery (EOR), injecting water or other substances to maintain reservoir pressure, is increasingly being utilized to access declining reservoirs. Technological innovation and improvements in efficiency and cost-reduction may extend the life of some fields that would have otherwise been uneconomic. However, reserves still exist and new technologies are enabling companies to produce hydrocarbons more cost effectively. As the sector ages, decommissioning of oil and gas infrastructure will become increasingly active, with over 200 platforms forecasted for complete or partial removal, nearly 2,500 wells to be plugged and abandoned and 78,000km of pipeline to be decommissioned in the North Sea between 2017 – 2025. Development of renewable energy technologies, particularly offshore wind, and increasing emphasis on emissions reductions and alternative sources of clean energy affect the oil and gas sector, although the use of fossil fuels will continue to dominate energy production for the next decades. Engaging with the sector: Despite the fact that spatial requirements for the oil and gas sector are predictable with little expansion of existing activities expected, MSP processes should further engage with the sector to ensure their activities, current and future, are included. The sector may be established with presence of offshore infrastructure, safety and exclusion zones and maintenance/supply vessel activity, and these should be included in the MSP. Managing decommissioning effects: Decommissioning represents the next significant shift for the oil and gas industry as reserves decline and installations come to the end of their life. The spatial implications for MSP from this are minimal in terms of new demand for space, however, it is relevant to consider the potential increased pressure on ports and harbours for decommissioning activities, and the potential for offshore installations which remain in situ to be used for other purposes. For more information, please visit the long-version of the sector fiche which includes further detailed information, resources and references. MARIBE (2015). Socio-economic trends and EU policy in offshore economy. Chapter 6 – Offshore Oil and Gas. Can examples of how strategic planning has been used in the oil and gas industry be transferred to other emerging sectors such as offshore wind? The oil and gas industry operating in Europe, particularly in the North Sea can be thought of as a relatively mature industry having been in operation since the 1960’s, offshore wind farms however are relatively new by comparison. 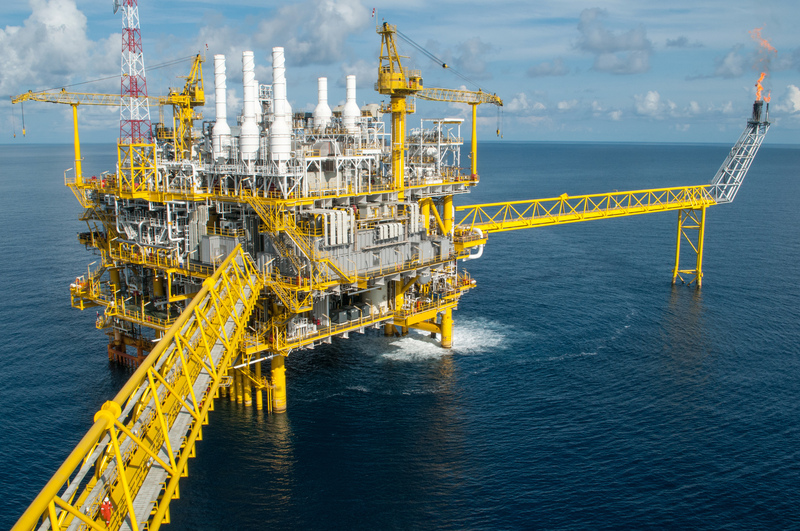 As a mature industry, extensive legislation is already in place for every aspect of oil and gas engineering, from installation right through to the decommissioning process. Many of the European standards relating of Oil and Gas are particularly relevant to offshore wind. In instances where specific legislation has not been developed for offshore wind as yet, it was recommended that reference is instead made to the equivalent offshore oil and gas standard. Similarities can be found between the development of the development of legislation for oil and gas pipelines and cabling for offshore wind farms. Like offshore pipelines the initial legislation for offshore wind did not cover cabling., without any specific guidance from existing international legislation coastal states are allowed to decide which aspects of existing regulation to apply and the extend of said regulation. Recent research conducted by Muller et al (2014) concluded that whilst initial comparisons could be drawn on the two industries vastly differing drivers, for example the EU 20-20 targets mean that the going forward similarities may not be as applicable. In 2008 a communication from the Commission noted that whilst competition exists between both industries at present, strategic planning could result in a smooth managed and gradual transition between both industries moving forward. Is there scope for cross-sector transfer of knowledge and skills between the oil and gas and offshore wind industries? As a mature industry, the oil and gas sector has a wealth of offshore engineering expertise, and for the developing offshore wind industry, there are a number of overlaps in terms of skills and infrastructure which can (and are) being utilised to advance the sector. This issue has been investigated in different contexts around the North Sea, given the oil and gas activity present and the expansion of offshore wind in this area. In Scotland, Scottish Enterprise published “A Guide of Offshore Wind and Oil and Gas Capability” in 2011 which provided detailed information on the oil and gas supply chain and the areas of overlap with offshore wind. Such reports have aimed to support rapid growth of the offshore wind sector and ensuring maximum economic benefit by supporting existing supply chain businesses in capitalising on these emerging opportunities. Project management of complex projects offshore. Manufacturing and installation of array cables, including trenching and burial. Sub-station structures manufacture and installation. Fabrication of turbine foundations, including secondary steelwork. Supporting services including subsea services like diving and remotely-operated vehicles (ROVs), as well as onshore activities like marine consultancy. What are the plans for decommissioning of oil and gas infrastructure? Across the four regions over 200 platforms are forecast for complete or partial removal, close to 2,500 wells are expected to be plugged and abandoned and nearly 7,800 kilometres of pipeline are forecast to be decommissioned. In the OSPAR marine area, the dumping, and leaving wholly or partly in place, of disused offshore installations is prohibited under OSPAR Decision 98/3. ‘Derogations’ whereby certain infrastructure can be left in place can be made in specific circumstances, and research is underway into the benefits of leaving infrastructure in situ, for example in relation to artificial reefs. This will inform further review of the OSPAR Decision. In relation to MSP, decommissioning represents a new activity in terms of the operations of vessels and bringing ashore materials to coastal areas. It therefore presents a potentially significant land-sea interaction to be considered. MSP in areas where decommissioning is forecast will need to engage with the sector and understand the predictions of what will be abandoned and remain in place and what will be removed. This provides the basis for understanding how the interactions with other sea users will be altered, positively or negatively. The land-sea interaction of service vessels transporting equipment and infrastructure may need attention in some areas, as although temporary, this increased activity and use of appropriately deep port facilities may constitute a significant activity for a number of years. Possible uses for abandoned offshore infrastructure include the potential re-use of platforms, including for aquaculture, offshore wind and wave energy and as an observation / data collection platform. There are a number of legislative challenges associated with multi-use, particularly the transfer of liability between the original platform operator, and the new purpose. These challenges are being investigated through projects such as the MUSES (Multi-Use in European Seas) Project.